Welcome to College Baseball Connection, the leader in a whole new process of college baseball recruiting. Colleges and Major League Baseball today are using technology and modern player metrics to assess ballplayers. This trend has become so popular that MLB has a leaderboard on its MLB.com website for some of these measurements under Statcast Leaders. At College Baseball Connection, we make this possible to high school ballplayers interested in playing baseball at the next level. Utilizing sophisticated measurements including, but not limited to; exit speed, laser precision 60 yard times with 10 yard splits, stalker timed velocity, launch angles, bat speed, late break movement, mound extension, and various reaction times, we will be able to compare your measurements directly with college players from all levels to help determine your appropriate college fit using our extensive database. 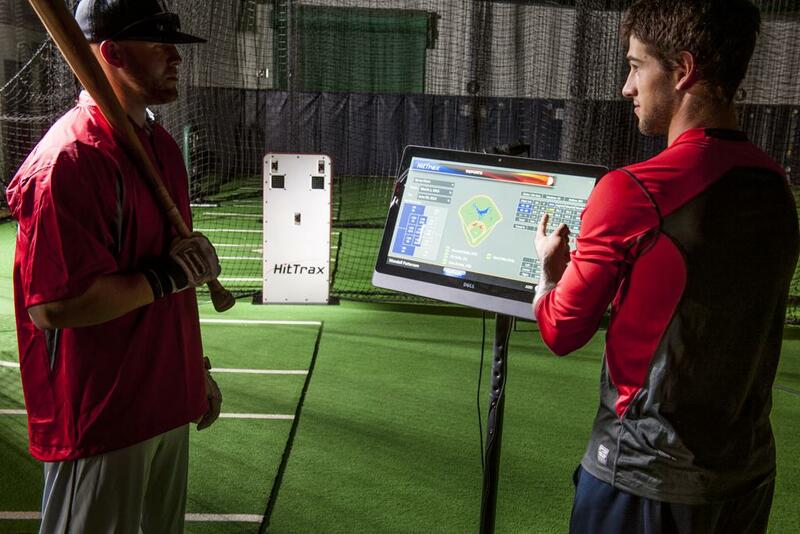 We use the most modern technology available such as HitTrax, Stalker Sport 2, Farmtek, All Star Simulator, and more. Player's grades, SAT scores, height/weight/body measurements, and video from game play may also be utilized in the college placement process. To Provide the High School Student Baseball Player maximum exposure to find the appropriate College placement based upon modern baseball metrics, grades, SAT scores, financial situations, and game play. We are your Guidance Counselor for playing Baseball at the next level!